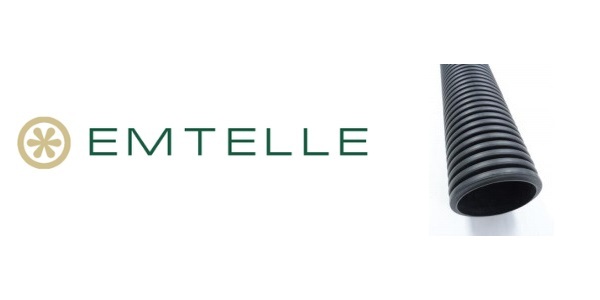 Emtelle PE Twinwall Duct is manufactured by Emtelle and supplied within an Integrated Management System, incorporating internationally recognised Standards including ISO 9001:2008, ISO 14001:2004 and ISO 18001:2007. The cable duct is designed to comply with ENATS 12-24 (Class 2) Industry Standard. Duct systems are printed with standard markings, including any additional information required by the customer, to give durability and traceability after installation. Standard length of a pipe is 3m or 6m. 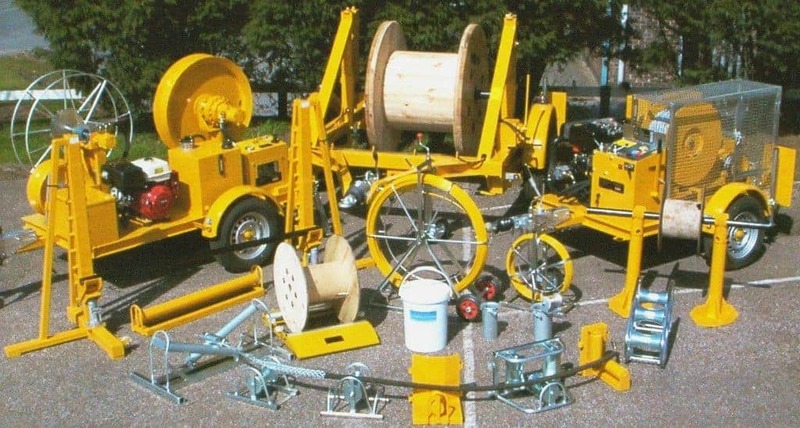 The power cable duct is supplied on non-returnable wooden U-frames which are designed to be stored on even, stable ground; they must not be stored more than 3 high. Packaging should be recycled locally. Raw materials are Polyethylene. The external corrugated profile provides a stiff yet flexible & lightweight duct. The internal bore is smooth to ensure safe passage of the cable during installation. Standard colour is Black; other colours are available upon request. * Each individual length comes with a factory fitted coupler as standard. * A ring seal version providing a water tight system is available upon request. Couplers can be purchased individually if required, and are available in all sizes of duct. These can be used to connect straight lengths of Twinwall. PE class 2 Twinwall cable duct forms part of Emtelle’s Powerprotect+ duct systems that are now specified for all major DNO’s within UK and Ireland including UK Power Networks, Electricity North West, Northern Powergrid, Western Power Distribution, Scottish Power Electricity Networks, Scottish & Southern Electricity, Electricity Northern Ireland and Electricity Supply Board Ireland. Emtelle cable duct provides underground cable protection to LV-HV cables, including UK DNO approved Class 2 Twinwall cable ductt for 33kV high voltage power cable protection.